#4 of our 52 reasons we love the Sandhills is The Arboretum located in Rassie Wicker Park in the Village of Pinehurst. 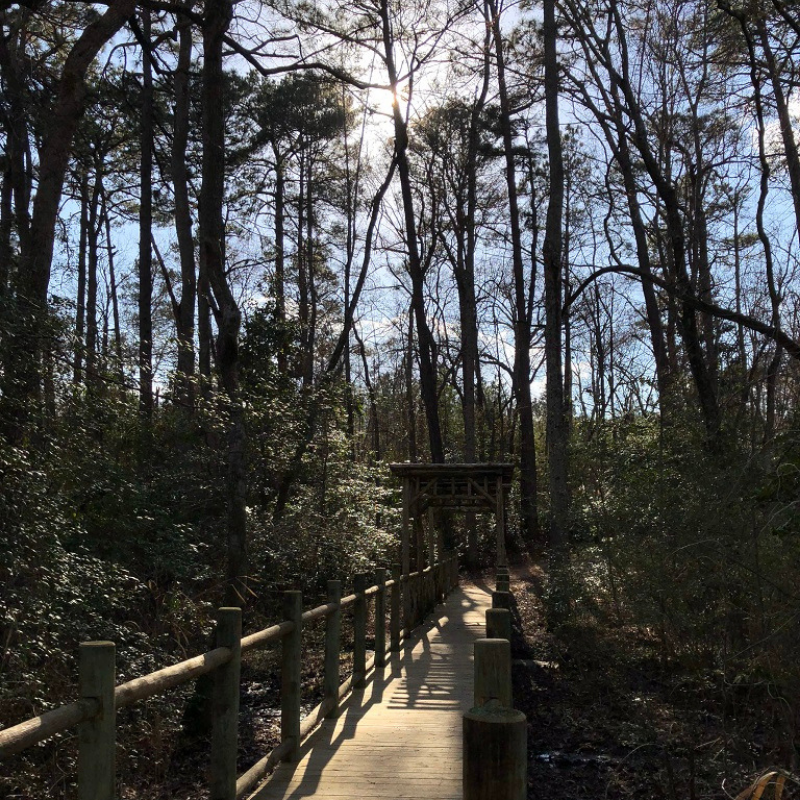 It’s amazing to us how, in The Village, you can step onto the walking trails of The Arboretum and find yourself in a 33 acre park with the sound of birds chirping and the rustling of the leaves in the wind to keep you company. One of our favorite discoveries along the trail is the wooden checkerboard and rocking chairs located in the shelter at the NW corner of the park. Have you seen them? We highly recommend you check out The Arboretum today!